Bank Holiday Weekend – What Bank Holiday Weekend? The weather forecast is good, some great games in Croke Park so a great bank holiday weekend ahead then? Most definitely but not in the traditional way for Purchase.ie. We will be busy exhibiting our product range in Cavan and Monaghan. If your in the North East come and see us at the Virginia Show in Cavan on Saturday July 30th and at the Castleblayney Show in Monaghan on Monday August 1st. 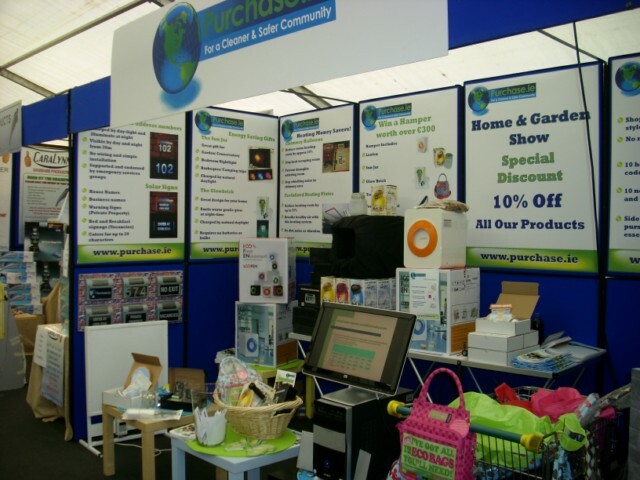 Some great deals to be had on our energy saving, water conservation and eco gifts so pop along and drop by our stand.